9 Restaurants In BALI That Will See You Through Lebaran! HomeArticleBali 9 Restaurants In BALI That Will See You Through Lebaran! ze that this year’s Idul Fitri falls in the summer season? Yes, 2015 is a spectacular year — we can have Lebaran and summer at the same time! The most awaited holiday season of the year has finally arrived. 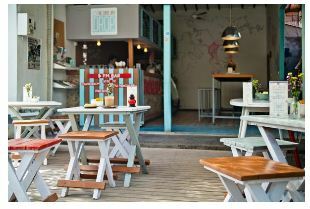 And what makes it even better is that this coincides with the growing restaurant scene in Bali. So, here it is, 9 restaurants in Bali to see you through this Lebaran weekend! Look at the vibrant colors dominating the entire space, giving you a merry mood like no other. Once you enter this place, you know your Bali getaway is about to be made the most lovely one yet. The place itself is a pretty open space, overlooking the beautiful Seminyak beach. Perfect option to get your summer cocktail fix. Everything about this place is to fall in love with, from the unique interior concept incorporating a fancy dining pavilion and a stylish outdoor space, to one of the tastiest Asian fusion cuisines you can get on the island. There’s also a nice cocktail bar which adopts a more casual approach. 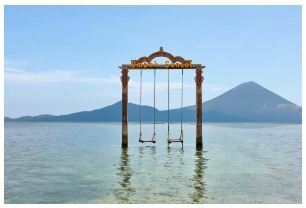 Simply put, this place suits every single person’s mood, whether you want it romantic or casual, they’ve got you. Situated right next to the jaw-dropping pool scene at The St. Regis Resort, this place will make you feel dreamy. Excellent choice for a memorable Sunday lunch with your family or friends. Their Black Angus open sandwich (Rp. 375.000) served with foie gras will take you to another dimension of culinary heaven! The solution to every problem in the world. Tender, juicy pork roasted to perfection, cooked with Balinese traditional spices, this dish is next level! When you happen to be in Bali, don’t forget to pay a visit to this place, one of the pioneers of great babi guling places in town. One plate will cost you around Rp. 55.000. Worth every cent – guaranteed! It is truly safe to say that Bali is the food capital of Indonesia. 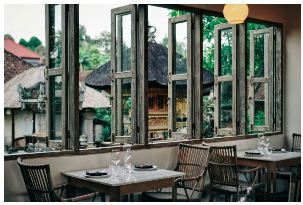 Not only street food along the streets of Ubud and restaurants with a view serving delicate Western food, in Bali, extraordinary gastronomy scene is spread across the town as well. This place serves a variety of Asian and French cuisine. They also serve Indonesian traditional dishes cooked in French technique, such as the outstanding Balinese crispy tuille. This place truly defines love at first sight. The combination of the colors will strike through your eyes and you’ll be wow-ed by it. The sight of an amazing circle of red, fiery flowers dominates the entire space. Everything about the interior of this place is just uncommonly gorgeous. 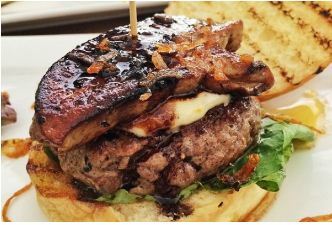 And not being left out, of course, its amazing Western delicacy… I bet you’re drooling right now seeing the picture of Steak & Mushroom above. 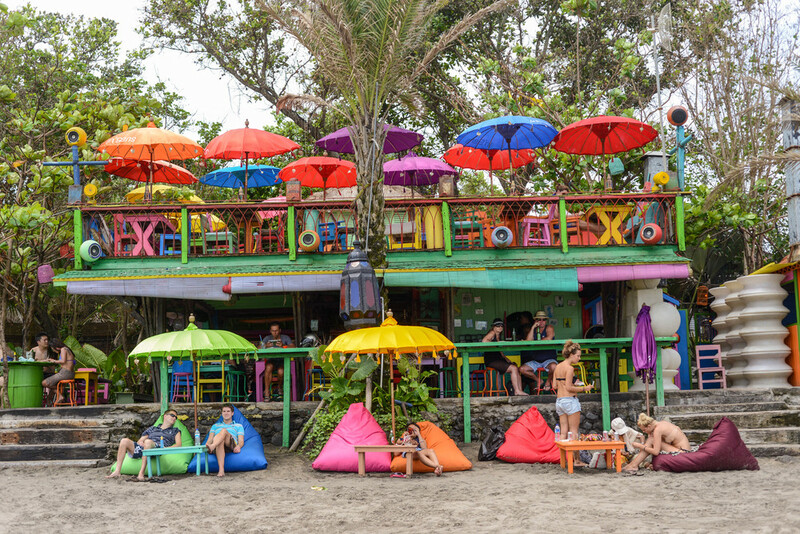 Beachfront restaurants are everywhere to be found across Bali. However, when you actually get the chance to pay a visit and try the food, it’s not rare that you get disappointed. At Sundara, you don’t need to worry that such thing would happen. Crab Spaghetti (Rp. 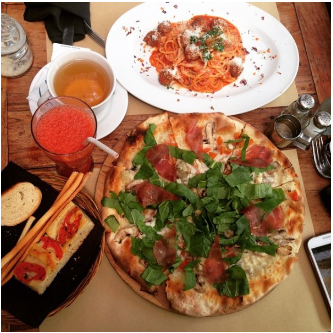 290.000) would satisfy your Italian cravings right away. Spectacular beach view, relaxed and homey atmosphere, and tasty food. The ultimate 3-in-1 combo you need in life. Such a charming, lovely space situated at the heart of Ubud. 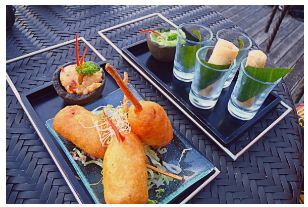 While enjoying your early dinner, you get to indulge yourself in extraordinary tropical breeze. Your food is made out of the freshest ingredients there are, as you can witness it’s being cooked live and exclusive in front of your eyes, which means that it has an open kitchen. Find your inner soul here! Last but not least, let’s dive into the beach club scene in Bali! As you can see, the serene blue ocean provides the perfect setting for this contemporary, stylish beach club. Have your favorite refreshing summer cocktails and mocktails here, accompanied with its signature Keramas Chicken (Rp. 150.000) that will tickle your taste buds in the most unimaginable way! 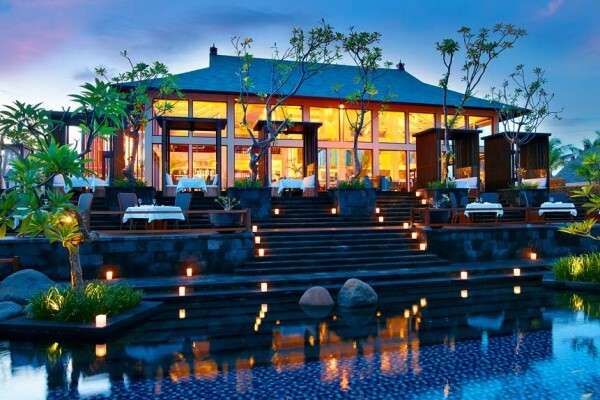 The post 9 Restaurants In BALI That Will See You Through Lebaran! appeared first on Qraved Journal.